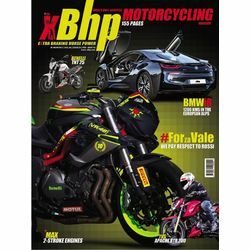 The xBhp magazine is aimed to be more than just a bunch of pages on motorcycles. This magazine will aim to be one of the highest quality two wheeler magazines in the world nurtured entirely by motorcyclists, for motorcyclists. The magazine, although targets Indians, will be a sensory delight to read and feel to any one across the world. Focusing on the powerful concept of i,the Biker which places the man before the machine and not vice versa.